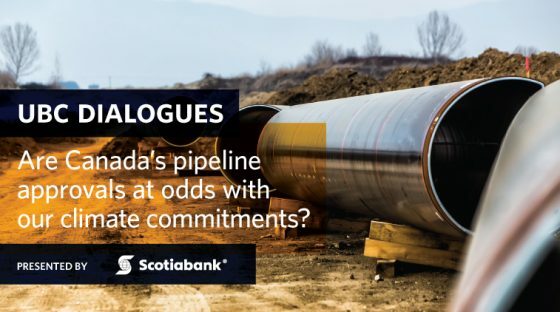 Home » Events » UBC Dialogues » Are Canada’s pipeline approvals at odds with our climate commitments? For years the possibility of new and expanded pipelines running across BC have raised questions related to First Nations land rights, coastal tanker traffic, and the nature of inter-provincial relationships. Underlying these questions, however, has always been the larger question of why we are continuing to invest in fossil fuel infrastructure at all given our international climate commitments. Join our panel of experts as they examine the economic, environmental, and public policy ramifications of the recent approvals. This event took place June 5th in Vancouver, BC. Kathryn Harrison is Professor of Political Science in the Faculty of Arts at UBC. She has a Bachelor’s degree in Chemical Engineering from the University of Western Ontario, Master’s degrees in Chemical Engineering and Political Science from MIT, and a PhD in Political Science from UBC. Dr. Harrison pursues two strands of research. The first employs comparative analysis to understand why governments adopt the policies they do. The second evaluates the efficacy of alternative policy instruments. 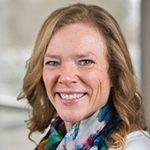 Although Dr. Harrison’s research focuses primarily on environmental policy, she is also interested in comparisons across other policy areas, and welcomes the opportunity to work with students with other substantive policy interests. Dr. Harrison is the author of the book Passing the Buck: Federalism and Canadian Environmental Policy and co-author (with George Hoberg) of Risk, Science, and Politics. In addition, she has edited three volumes, the most recent of which is Global Commons, Domestic Decisions: The Comparative Politics of Climate Change (MIT Press, 2010), co-edited with Lisa McIntosh Sundstrom. She has published over 50 journal articles and chapters in edited volumes. From 2008 to 2011, Dr. Harrison served as Associate Dean, Strategy and Communications, in the Faculty of Arts. She is a member of the publications board of UBC Press and has served on the editorial boards of Canadian Public Policy, the Canadian Journal of Political Science, the Journal of Comparative Policy Analysis, and Regulation and Governance. His research interests include environmental policy, energy policy, forest policy, and more generally the design of policies and institutions to promote sustainability. His current research focuses on the clean energy transformation. He is writing a book on the resistance to oil sands pipelines and the challenges and opportunities of the clean energy transformation. He has published on the role of science in policy-making and international constraints on domestic policy autonomy. 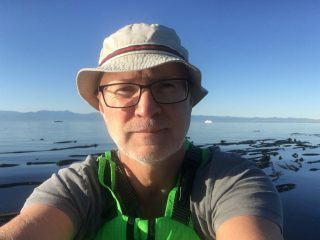 He has also written books on BC and Canadian forest policy, environmental policy in the US, toxic substances regulation, and edited two books on comparative Canada-US policies and the US influence on Canada. From 2001-2006, he was head of the Department of Forest Resources Management at UBC. He is an associate of the Department of Political Science and Institute for Resources, Environment, and Sustainability, and a member of the Clean Energy Research Centre. 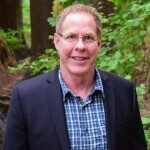 Stewart Muir is Executive Director of Resource Works, a non-profit society that communicates with British Columbians about the importance of the province’s resource sectors to their personal well-being. It demonstrates how responsible development of British Columbia’s resources creates jobs and incomes throughout the province, both directly and indirectly, while maintaining a clean and healthy environment. And Resource Works explores the long-term economic future of British Columbia as a place that depends on the responsible development, extraction and transportation of the province’s resources. 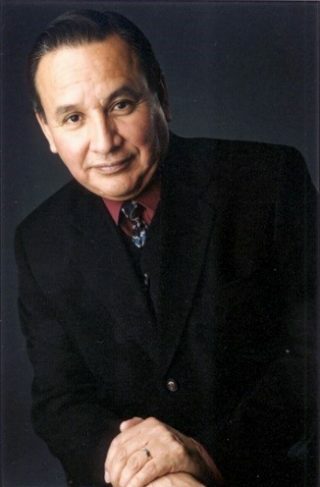 In October 2008, Grand Chief Stewart Phillip concluded his fourth consecutive term as Chief of the Penticton Indian Band (PIB) after having served the Band as Chief for a total of 14 years. In addition, he served as an elected Band Councilor for a 10 year period and continues to serve as the Chair of the Okanagan Nation Alliance. In October 2006, the Okanagan Nation, led by the Elders of the Penticton Indian Band, acknowledged his lifetime commitment to the defense of Indigenous Peoples’ Title and Rights by bestowing on him and his family the rare honour of the title of Grand Chief. Over 37 years, Grand Chief Stewart Phillip has worked within the Penticton Indian Band Administration holding a variety of positions such as, Band Administrator, Director of Land Management, Education Counselor, Economic Development Officer and Band Planner. Aside from serving as a member of the PIB council for a total of 24 years, he is proud to be in his fifth three-year term as the President of the Union of BC Indian Chiefs. He has taken an active role in the defense of Aboriginal Title and Rights by readily offering support to Native communities in need. He has taken a personal approach seeing first-hand the impact of fish farms in the Broughton Archipelago, lobbying on Parliament Hill to defeat the First Nations Governance Act, standing with Elders of Treaty 8 against oil and gas development in the Peace River, burning referendum ballots with fellow chiefs in protest and has stood on the steps of the Legislature with 3000 other people united under the Title and Rights Alliance banner. Grand Chief Phillip has been married for 30 years to his wife Joan. They have four grown sons, two daughters, seven granddaughters and seven grandsons. He is currently enjoying his 27th year of sobriety. In this regard, he is a firm believer in leading by example. 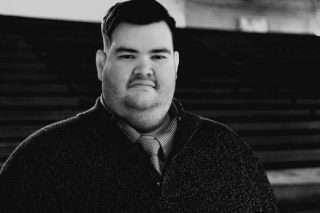 Solomon is Tsimshian and Saulteaux, has a background in business development and was a member of the BC Public Service. Solomon is passionate about creating own source revenue projects for First Nations and Indigenous Organizations. Solomon is an active Reconciliation advocate and is passionate about bridging the economic gaps between Indigenous and non-Indigenous peoples on turtle island. Four Eagles Sustainable Development Corporation is a project incubator with a specialization in housing, technology, wind and solar energy. As President and CEO, Solomon and his team help provide communities with the resources required to transition to own source revenue generation and out of poverty management. They help communities to develop their human capital, build and grow capital programs and create sustainable sovereignty for their Nations and community organizations. They believe in empowering the communities, Nations and Indigenous and non-Indigenous organizations we work with by ensuring that relationships are managed carefully to maximize shared benefits.